During the Belgian Defence Technology & Industry Day trials, held at the Naval Base at Zeebrugge on 2 June, Thales successfully demonstrated the performances of its latest SAMDIS (Synthetic Aperture and Mine Detection Imagery Sonar) Multi-view sonar system integrated onboard an ECA A27 AUV platform. Thales says the A27 proved to be an extremely stable, enduring and reliable platform, capable of withstanding the strong tidal currents usually encountered in the North Sea. The SAMDIS sonar generates long-range, high resolution images (1 inch x 1 inch) with good reverberation-to-shadow contrast even in very shallow waters. Owing to its Multi-View capability, SAMDIS simultaneously generates three views of a given contact under different angles in a single path. According to Thales, the combination of high resolution and several independent views in a single pass is key to drastically reduce ambiguity when taking a detection/classification decision. This capability enables SAMDIS to combine high coverage with very high confidence rates of probability of detection and probability of classification of mines, with a very low false alarm rate. SAMDIS outputs are best processed by the PRACTIS software, which Thales describes as a a powerful detection and classification tool for optimising operator workload. Belgian Navy operators learned to operate PRACTIS easily during the sea trials. says Thales. The combination of SAMDIS and PRACTIS enables high confidence in classification of contacts as NON-MILCO (MIne Like Contact), thus avoiding lost time in lengthy investigations to identify the contact. 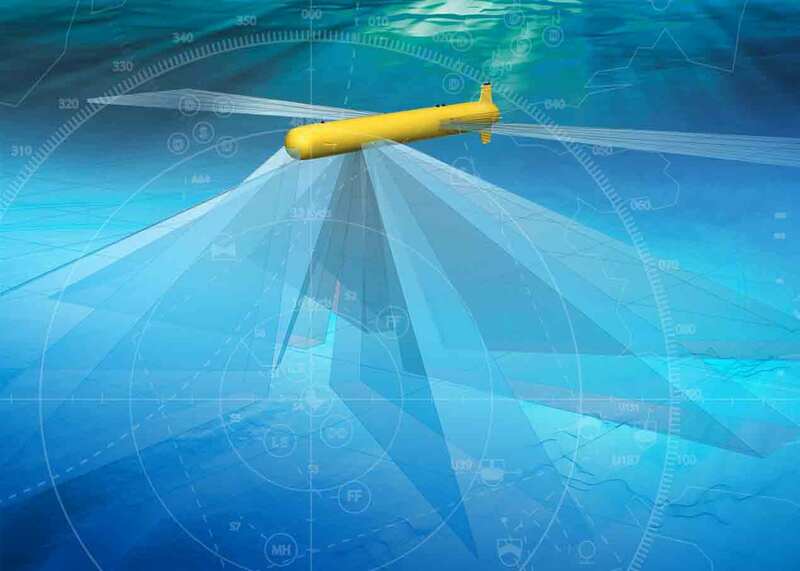 SAMDIS is designed for seamless integration onto various platforms with a combination of several array lengths for medium- and heavy-weight AUVs, as well as side-scan sonars towed by USVs. The A27/SAMDIS combination is part of an equipment package that will be delivered to France and the UK as part of their MMCM programme, which aims to deliver a robust, proven unmanned mine hunting package to the two countries’ navies. In 2016, Thales performed successful demonstrations of its HALCYON USV off the North Sea Coast of Zeebrugge in Belgium and in Northern Scotland for the Royal Navy Unmanned Warrior exercises. During both trials, the HALCYON USV used a Towed Synthetic Aperture Sonar (TSAS) system. At the end of the trials in Belgium, Thales was well assessed for detection performance against all mine types. In the framework of the Belgian/Dutch MCM capability replacement programme, Thales will on its multi-domain pedigree to offer solutions in MCM: mission system integration and naval combat system. This will ensure a strong level of local industry involvement in terms of system development, as well as future system support, combined with a high level of operational efficiency.